I am always on the search for different varieties for my garden. 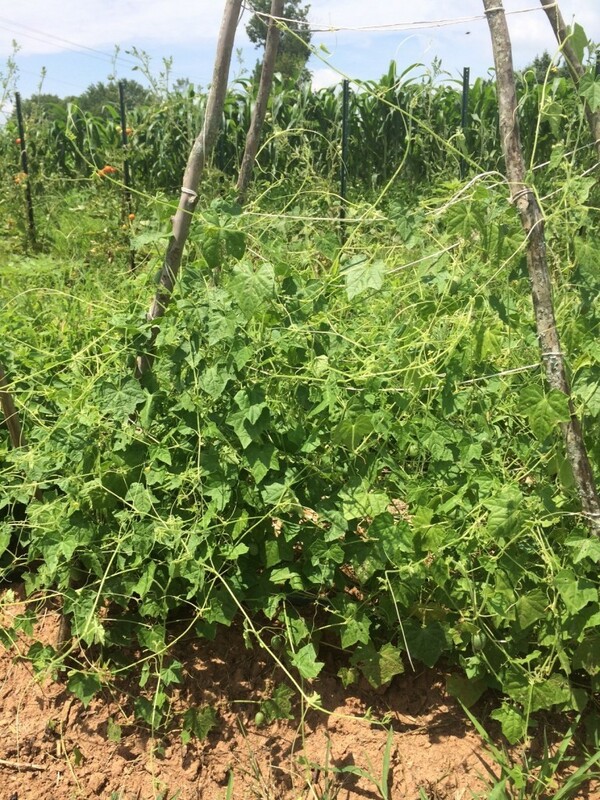 Not that there is anything wrong with the old standards like ‘Clemson Spineless’ okra or ‘Rutgers’ tomato but I like to grow to discover new flavors, unique characteristics, or plants that are otherwise not known to grow in my area. This year I’ve experimented with a few different varieties but the one I’ve most enjoyed is the Mexican Sour Gherkin (Melothria scabra) or “Cucamelon”. The two plants in my garden are full of delicate, almost hair-like vines. It is a vining plant with more delicate stems than cucumbers so it will need a trellis or some sort of support; I grew mine on a tepee. It was much slower than a typical cucumber to start climbing and set blossoms. It makes tiny yellow flowers that you really have to try to see and the fruits should be eaten before they get over 1” long because they get seedy. From what I can tell it also seems less affected by the typical cucurbit killers like vine borers and squash beetles. 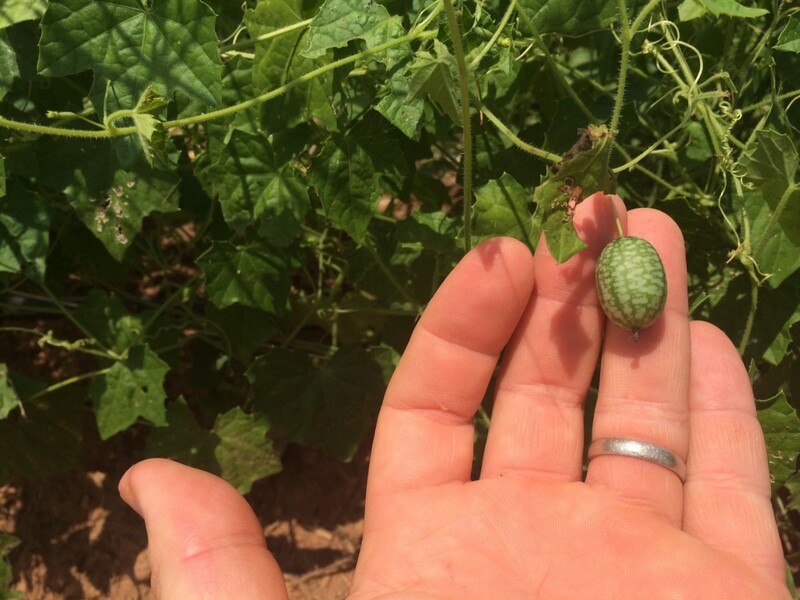 The miniature, watermelon lookalikes are a fun addition to the garden and would be a great way to get kids interested in gardening and eating their veggies. The gherkin has a great taste to go along with its unusual appearance. It is mild with an almost lemony flavor and is eaten with the skin on. The seed companies say that it can be pickled but I may have to try that next year since I only had two plants make it to maturity. These little guys are cooler than a cucumber and are a great plant for parents and teachers to get kids interested in gardening. Posted in Children's Garden, Home Gardening, Vegetables. This entry was tagged cucamelon, fun plants. Bookmark the permalink. Next: What’s “bugging” your vegetables?